Description: In order to realise the full benefits of the Internet of Things, particularly in industrial settings, there needs to be common protocols to facilitate interoperability and drive the adoption of new business models. One organisation leading efforts globally in this area is the Industrial Internet Consortium. It is a member-driven not-for-profit focused on creating testbeds to test out new technologies. An IIC testbed is a controlled experimentation platform in real world conditions, testing technologies being used in different ways and to discover new business models. Results from testbeds include best practices and requirements for standards, not the standards themselves. This presentation outlines how the IIC works and recent achievements. 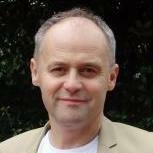 About the presenter: Stephen Mellor is the Chief Technical Officer for the Industrial Internet Consortium, where he directs the standards requirements and technology and security priorities for the Industrial Internet. In that role, he coordinates the activities of the several engineering, architecture, security and testbed working groups and teams. He is a well-known technology consultant on methods for the construction of real-time and embedded systems, a signatory to the Agile Manifesto, and one-time adjunct professor at the Australian National University in Canberra, ACT, Australia. Stephen is the author of Structured Development for Real-Time Systems, Object Lifecycles, Executable UML, and MDA Distilled. When: 12 midday AEST (Sydney) on 31 January 2017. The presentation will last 30 minutes, followed by question time.